How Is SolarCity Fitting in With Tesla Now? Tesla acquired SolarCity in November 2016. Has it cleaned it up enough to be less of a drag? In November 2016, Tesla Inc. (TSLA - Get Report) received shareholder approval to acquire SolarCity. The two companies originally agreed on a $2.6 billion buyout price in August and when the books officially closed in November, Tesla took on almost $3 billion in SolarCity debt. While the deal received approval from shareholders, it didn't happen without controversy. 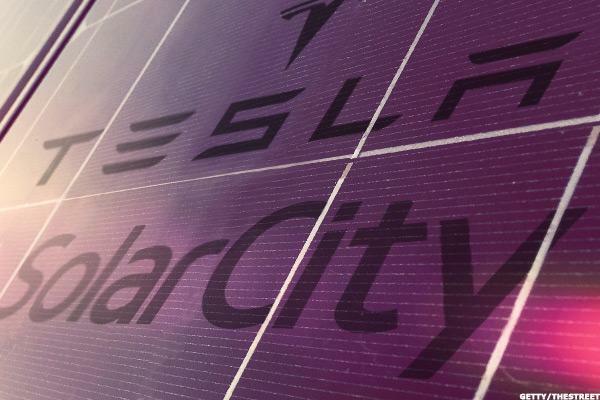 SolarCity was founded by Tesla CEO Elon Musk's cousins, one of whom is Lyndon Rive, who served as CEO of SolarCity. Further, Musk was chairman of SolarCity and owned some 22% of the stock. Given SolarCity's poor financial situation, this looked more like a bailout to some investors. Given the conflict of interest that many people see here, it's no surprise that a judge recently granted a group of shareholders permission to pursue their lawsuit. Although there were some hairy corporate governance concerns over the merger, the move shouldn't be seen as a complete surprise. It's not as if Tesla was a consumer retail store that was trying to acquire a solar company. Instead, Tesla is viewed as the leader in the electric car movement and it produces the Powerwall and Powerpack, which are residential and commercial products that store energy generated by solar power. While solar powers a customer's house during the day, it can't do so at night. Instead, it charges the Powerwall during the day while powering the house, then when the sun goes down, the Powerwall kicks in to run the house's electrical needs. With a Model S parked in the garage, one can see why SolarCity was acquired and just how seamlessly it fits in with Musk's clean-energy plans. Combining companies allowed both entities to have easier and more efficient collaborations and discussions. "Now we can make decisions immediately instead of it taking a month," Musk said of the tie-up. Tesla had a plan when it came to SolarCity. The company struggled to make a beautiful product like Tesla did with electric cars. The companies' joint effort on the Solar Roof can change that, and if it works, will totally turn the solar market on its head. Upon acquiring SolarCity, Tesla planned to "reduce customer acquisition costs by cutting advertising spending, selling solar products in Tesla stores, and shifting from leasing to selling solar energy systems." By offering leasing rather than selling, SolarCity had enormous upfront costs with the projects. Tesla continued, "During this transition, we plan to prioritize cash preservation over growth of MW deployed." Given that SolarCity was burning more cash than Tesla despite being one-tenth its size at the time, there were and still are serious concerns about Tesla taking on SolarCity's debt and operations. Making matters more troubling, though, were Tesla's own operational issues. The automaker was burning through cash at a fast rate and many worried about a capital raise. Fast forward to 2018 and those concerns still linger. Production of the Model 3 came in at a better-than-feared 2,020 units in the last week of the first quarter. But many wonder whether that was a result of Tesla's all-out effort to meet its goal of 2,500 units per week by the end of Q1 and whether it's sustainable longer term. The company is more or less sticking with its goal of hitting 5,000 units per week by the end of Q2. Due to Tesla's production struggles, Goldman Sachs analyst David Tamberrino is sticking with his sell rating, but cut his price target to $195 from $205. Sluggish Model 3 production combined with the potential waning of Model S and Model X demand were behind Tamberrino's move. All of this circles back to the company's overall cash burn. Because Tesla cut down on SolarCity's previous cash burn and was able to realize some synergies along the way, the bleeding isn't as bad. It doesn't help that the Solar Roof is only taking reservations at this time and is not generating any sort of meaningful sales. If the company can make it to the product's launch and to solid production of the Model 3 without a capital raise, Tesla might be fine after all. The purge of its stock price just a few weeks ago and the drop in its bond prices say investors were worried about that prospect, though. Part of those worries likely stem from Tesla having some of its $11.1 billion in debt coming due later this year. A downgrade from Moody's doesn't help, either. At this point, production of the Model 3 is the biggest concern. It's operations are what's burning the most cash and if Tesla can fix that, it should be OK. But SolarCity isn't helping matters much at the moment.